Very pleasing to play with robot. Elasticated cord joins this retro robot's arms, legs and head to his torso, allowing him to assume all kinds of amusing position. Surprisingly big and chunky in design. Designs vary. 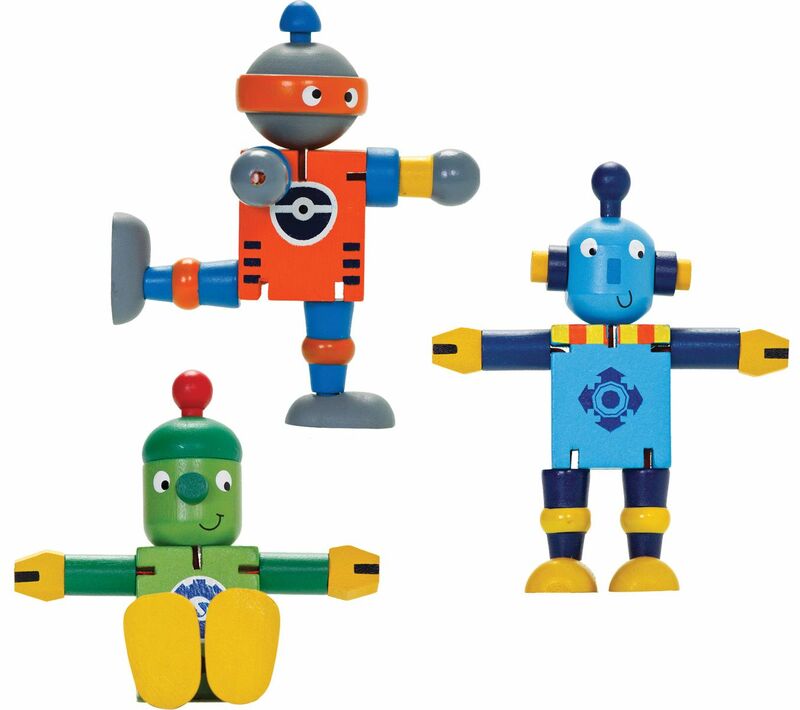 If you order more than one, we will endeavour to send you different robots.